THOUSAND OAKS, Calif. (AP) – California Lutheran University has canceled classes following a shooting at a bar where some of the school’s students were attending a country dance night. The Cal Lutheran website says the university community is invited to gather Thursday at the school’s chapel. 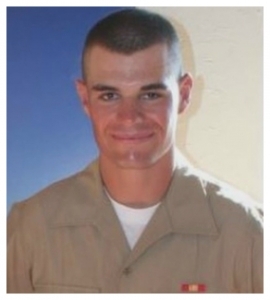 Thousand Oaks, CA (WBAP/KLIF) – Police in Southern California have identified the shooter who opened fire at a Ventura County bar, killing 12 people and himself as 29-year old David Ian Long. Long was armed with a Glock 21, a .45-caliber handgun designed to hold 10 rounds plus one in the chamber. Long is being describe ad a military veteran with PTSD. Along with 11 patrons of the Borderline Bar, a Ventura County Sheriff’s Department sergeant, Ron Helus was also killed. Community mourns Sgt. Ron Helus, one of 12 people killed in a mass shooting at a bar in Southern California. A father of one of the victims tweeted a photo of his first born son who did not make it out of the bar. THOUSAND OAKS, Calif. (WBAP/KLIF) – Mass carnage was seen after a shooting at a popular bar in Thousand Oaks, California last night, where a gunman opened fire killing 12 people and himself. The country bar was a favorite hangout among Pepperdine University students. The university tweeted this morning that a number of students were among the victims. THOUSAND OAKS, Calif. (AP) – Survivors of the bar shooting are describing moments of panic and heroism as a gunman turned a dance floor into a killing zone. Nineteen-year-old Tayler Whitler says she was dancing and her friends were at a table by the door as the gunman opened fire. She says everyone yelled “Get down!” and it was silent for a couple seconds, then she heard “Get up, he’s coming!” and people were trampling on each other to get out.